I often hear from people who would really like to live in a tiny house but who can't, whether that's because they can't afford it, their health won't allow it, or they have commitments that prevent them from moving. It's a shame when this is the case, but it's no reason to abandon the dream altogether. There are lots of ways to get the same benefits as you get from living in a tiny house without actually owning one. To get the benefits from somewhere else, you first have to understand which benefits you're after. 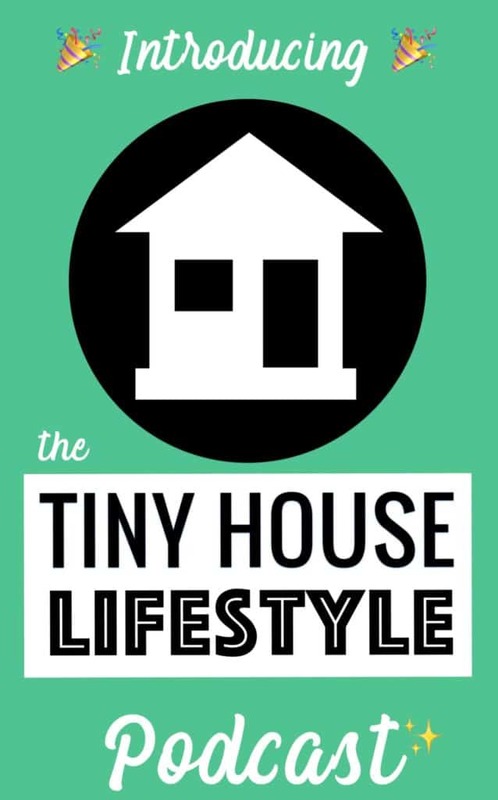 What do you like about tiny houses? Is it the money-saving aspect that excites you? Perhaps you're all about the environment? Whatever the reason, you can get the same or similar results from other things. 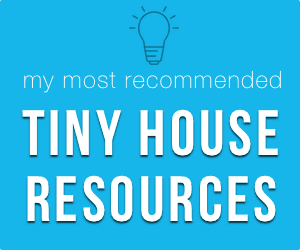 In last week's post, we looked at the practical benefits of going tiny. 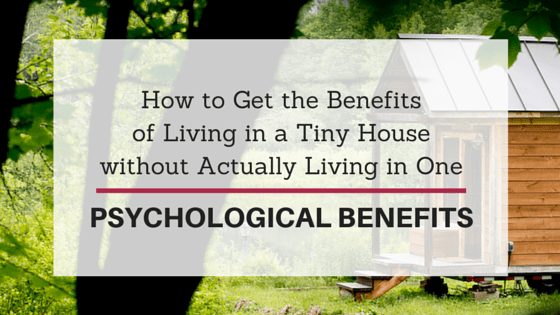 Today we're looking at the psychological benefits of living in a tiny house. Benefit: When you live in a small space, you're forced to spend a lot of time with those who live with you. It's hard to get a lot of privacy in a tiny house, particularly if there are more than two of you living in it. Either you get used to being around each other a lot or you don't live in the tiny house! As a result, a lot of couples and families who live in tiny houses report feeling closer to one another. Alternative Source(s): If you want to develop a stronger bond with your family, make a conscious effort to spend more time together. Start by eating meals together. Develop a habit of going for a family walk, cycle, or meal each weekend. Benefit: Living in a tiny house tends to free up your time, simply because there's less space to clean and fewer belongings to distract you. If you live in a rural area, you may not have an internet connection, so you might not be able to waste time online! This extra time can be spent with family and friends or on hobbies and business ventures. Alternative Source(s): There are two main ways to become less busy. Firstly, you could reduce the amount of things you have to do, by outsourcing your chores or work tasks to a cleaner or virtual assistant, for example. Secondly, you could become more efficient with your time, by forcing yourself to only work between certain times, using the Pomodoro technique, or working early in the morning when there are fewer distractions. Benefit: If you follow me on Facebook, you'll have seen the photos I share of my tiny house in different seasons and from different angles. You may also have noticed that I spend a lot of time skiing during the winter. All this is because living in a tiny house encourages me to spend more time outdoors. When there isn't much space indoors, the outdoors becomes your home too. And it feels great to get so much fresh air and movement. Alternative Source(s): There are plenty of ways to spend more time outside. For starters, you could start a hobby or join a club that takes place outside, for example running, soccer, or hiking. Alternatively, you could start gardening or, if you don't have a garden, offer to look after someone else's or get an allotment. If you don't have much free time to spare, start walking or cycling to work instead of driving or getting the bus. Benefit: The tiny house community is great. Everyone's so enthusiastic and helpful. It feels great to be part of such a friendly and supportive community of people who think like you do. Alternative Source(s): I've explained before how you can go about meeting people within the tiny house community, but if you aren't going to become a tiny house owner, there are other ways to meet likeminded people without the tiny houses. You could get involved in other “alternative” communities. Perhaps you're passionate about politics, the environment, homeschooling, or a particular way of eating? Consider the parts of your life that don't fit with the norm, and find the people who share your beliefs. Try joining or starting your own group on Meetup.com. Benefit: When you do one thing that's outside the norm, you start to notice problems with the status quo in other areas of your life. Realizing that your home doesn't need to be any bigger than a parking space opens you up to the idea that you don't need to do what's expected in any part of life. You start questioning everything and become more of an independent thinker. Alternative Source(s): To keep yourself questioning things, join a debate or philosophy group. Read controversial books. Read blogs and participate in online forum discussions. Find other people who are questioning the status quo and engage with them. Benefit: There's no denying that being a tiny house owner wins you some coolness or quirkiness points. Simply by being one of just a few people (relatively speaking) who live this way, you become someone of interest. Other people want to know about your home and how you live because it's different. Not that I'd recommend moving into a tiny house just for the street cred! Alternative Source(s): This one's a bit trickier. If you set out with the intention of becoming cool or doing something because it's different, you might not be doing it for the right reasons. That said, all it takes is rethinking the other areas of your life. If you notice that almost everyone does something one way, ask yourself why. If it doesn't make sense to you, do it your own way. If your way is weird enough, someone will be interested in finding out more about it! Benefit: I can't tell you how amazing it feels to have built my home with my own hands. I know every single corner of my house because I put it there myself. Each nook and cranny contains a memory. I have a whole bunch of carpentry skills that I didn't used to have. Building your own home feels amazing. Alternative Source(s): You don't have to build a whole house to feel proud of yourself and to learn these skills. Why not try your hand at building a shed or a treehouse instead? If construction is completely outside your comfort zone, make a patchwork quilt or write a book. If it's the creation element you're craving, create something smaller, easier, or cheaper. As long as you put in the work, you'll be able to feel proud of yourself once it's done. Benefit: In many ways, life in a tiny house is a simpler life. There are fewer distractions, fewer things to tidy away, less space to clean, fewer bills to pay, and so on. There is just less, period. And less is a good thing, because having less means you've gotten rid of all of the unnecessary things that were taking up time, money, and mental energy. Life with less is easier. Alternative Source(s): There are lots of ways to simplify your life. You could become a minimalist, thereby reducing the number of things you own. You could reduce the number of responsibilities you have, by giving up volunteering positions or requesting a demotion at work. You could work on clearing your mind by meditating or spending more time in nature. Work out which part of your life is too complicated and go from there. Benefit: A huge part of the tiny house movement is about protesting the complex and unnecessary legislation that surround housing and accommodation. 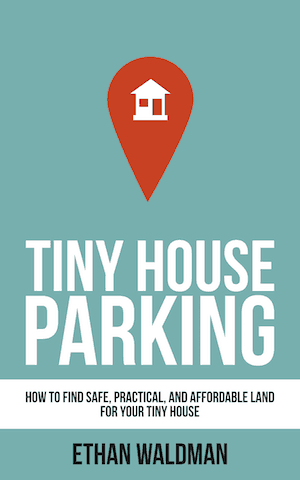 By living in a tiny house, you are, in effect, challenging zoning laws and the bureaucracy that comes with them. You stand for something. Alternative Source(s): If you don't like the way your local authority or the government does something, there are plenty of things you can do to get your voice heard. Join an activism group, attend protests, sign petitions, write to politicians, write to newspapers, or start a blog. There are lots of practical and psychological benefits of going tiny, but if living in a tiny house isn't possible for you, you don't have to miss out. 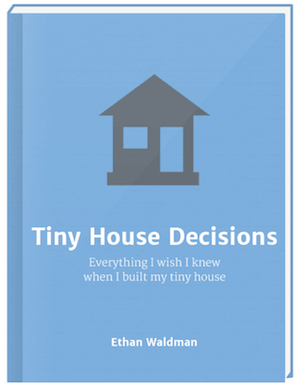 Work out what you like about the tiny house movement and find another way to satisfy your needs.